Barter Books : Attwood, Edward L & Cooper, I C G : A Text-Book of Laying Off or The Geometry of Shipbuilding. 200 x 140 mm (8 x 6 inches) - 119pp. G : in Good condition without dust jacket. Stamp and label on inside of front cover. 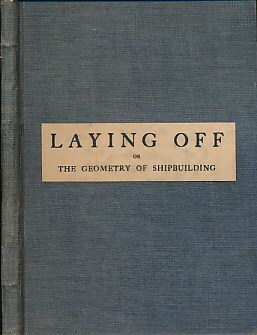 'Laying off' is a term used to describe the methods adopted to obtain the form of a ship. Based on the principles of Descriptive Geometry.